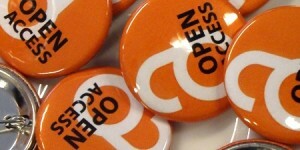 This year’s theme, “Open for Collaboration”, set by SPARC (The Scholarly Publishing and Academic Resources Coalition) for its 8th International Open Access Week will be held on October 19-25, 2015. In ongoing support of this global event, UBC has held its Open UBC Week (formerly Open Access Week) events annually since 2008 with last year`s Open UBC Week 2014 event marked as “the most successful one to date”. Stay tuned for more Open UBC Week 2015 news!